Pumpkin are rich in Vitamin A and able to improve the smoothness of the skin. 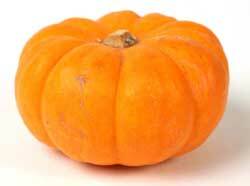 Besides, Vitamin A in pumpkin also able to reduce the tiredness of the eye. It’s believed that pumpkin banana juice is good for eye. If you always look at computer screen, try to make a pumpkin banana juice is good to relief your eye tiredness. Watermelon is rich in Vitamin A, C and Lycopene (antioxidant). Lemon juice also rich in antioxidant. With the high antioxidant, it can greatly reduces the risk of prostate cancer and heart disease. Watermelon lemon juice is believed to be able to reduce body heat and improve the immune system. Mango orange juice are well known of rich in vitamin C and Carotene. This juice is good to serve during summer. 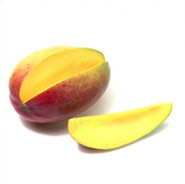 besides, mango orange juice also believe to reduce the risk of heat stroke.